I always think of the New moon as a time to go within and meditate where we have been and where we plan and want to be. It is also a wonderful moment to remind oneself how important it is to go within and withdraw from the world for a moment to rethink, to relive, to reinvent and to remember what is really important in our lives. To get back in touch with our spiritual side and give it some nourishment, to keep us on our toes and on track. With the world in the fast forward mode with all its upheavals, destructions and tribulations happening everyday and everywhere, it is necessary and important for us to step outside of ourselves and revitalize and reenergize, for the task in front of us. 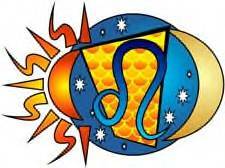 With all the difficult and unusual aspects doing their thing in the past year, the New Moon at 7 Leo 15 on July 30th 2011 at 11:40 a.m. PDT is beaming its light and beckoning to us that “like attract like”. A few days before this Moon phase, Mars is activated by the aspects of the total lunar eclipse of June 15th 2011 as it trinesNeptune in opposition to Mercury, asking us to walk the talk, even if we can’t express it in words. With Jupiter trine Pluto square Uranus, our thoughts, beliefs and seeing things in a different light, makes it possible that one is able to give new life to old ideas expressing new dynamism and excitement, not associated with it before. Some may think that the Universe is asking us to practice the Law of Abundance, but I actually believe the Universe is asking us to perfect the Law of Attraction. To attract and work with thoughts, ideas, creations, people and actions that is similar and conducive to what we really desire and long for. By attracting our similarities, we begin to buildup and reinforce what we are working towards and their support will help us to keep going to realize our dreams and wishes. “The Sabian symbol for the 8th degree of Leo is taken from “The Sabian Symbols in Astrology by Marc Edmund Jones”, and what follows are my comments. Leo 8 A Bolshevik propagandist This is a symbol of the indomitable expectation of the human spirit as it gathers strength from the innermost reaches of man’s own enduring nature, here emphasized by the recurrent battles over social and political concepts. The exceptional dynamic involved is seen in the selfless energy developed to an extreme by the revolutionists of each new age. Implicit in the reversed symbolism is the need of the human community for a worthy cause to which to rally in every aspect of its potentials. The keyword is leaven. When positive, the degree is a determination to share the soul’s vision and to make a permanent impact on history, and when negative, futile ranting against a multitude of superficial ills. The definition of Propaganda is taken from the American Heritage dictionary is as follows “The systematic propagation of a doctrine or cause or of information reflecting the views and interests of those people advocating such a doctrine or cause”. In uniting with others with like minds in expanding the common cause, the strength of the group has more influence and conviction then an individual by himself. Being with others with like minds brings others into our environment that will continue in giving us positive support, help and the determination to stay on course, as doubt and frustration enter the realm of our thinking and vision. As we experience difficulties in bringing our dreams into reality, positive reinforcement from those around us is an added encouragement to explore new ideas until the end result is accomplished. This New Moon in Leo is beaming and beckoning us to surround ourselves with like minds to achieve our impossible dreams and to realize how powerful and creative is the adage “like attracts like”. With all the strange weather patterns happening around the world causing unexpected flooding and destructions, volcanic activity in the increase and earthquakes popping up in areas not its’ usual haunts. The hullabaloo about 2012 seems more plausible and credible on the horizon in our modern age of technology and our blaze attitudes of the ancient prophesies. As one researches the Mayan date, one begins to realize that there is no one consensus to what is the significance the Mayan astrologers applied to this time period. Is it perhaps one cycle ending and another cycle taking its’ place? Some theories that abound seem to have a more modern take of the doomsday wakeup call, reminiscent of the last days ofPompeiior Atlantis. I am not sure the inhabitants of these cities had any forewarning of doom by their astrologers or soothsayers, or if they did, did it go in one ear and out the other? It appears they were caught by surprise, or where they? Did some see the signs on the wall and took heed to them, thereby saving themselves? Like the bible story of old, where some wise enough to discern the truth to build their own Noah’s ark before it was too late? It seems to me, since the Mayans were able to predict the appearance of the foreign invaders and were able to build their incredible cities as a testimony to their capabilities and has substantiated the amount of wisdom and knowledge the early invaders did not give them credit for. Much was lost in the destruction of their cities and culture by the invading conquers. What always seems to happen to truth, is that through time and the retelling of the verities, myths and legends become embellished to such a point, we don’t recognize what fact or truth we started with. As an astrologer one learns and realizes as one continues with his studies, that we gain our knowledge from past efforts which we have built on and continue to build upon. So we need to have started with the right foundation to create a strong future. With Saturn, Pluto, Jupiter and Uranus playing out their roles in the night skies of the last few years, it is very difficult not to imagine and build upon the negative and devastating forecast and images associated with 2012. My thoughts and feelings are never to give the negative, the power to control us, but to look at what positive steps we can take, to side step the trials and tribulations, and to avoid the worst possible scenario. It appears to me that 2012 can be compared to the Piscean Age changing into the Aquarius Age as western astrologers see one cycle of time transforming into new beginnings of growth and understanding. It is not my intention to say, that to begin anew is not difficult, because it does have its’ own problems and trials, but it will lead us into new areas of growth and understanding we have yet to begin to experience. This is exemplified, by the period in our history we call the dark ages, which gradually changed into what we call the Renaissance age of renewal, growth and learning, producing the age of enlightenment. Every cycle has its rewards, we need to be patient and endure with determination to completion to see the results of our endeavors. As I continue to contemplate on 2012, I am becoming more convinced this is an end of an epoch and the beginning of a new one. The doomsday prophets are using 2012 and the extreme whether patterns, physical upheavals and destructions to convince their followers of the truth of their statements. This doom and gloom is a wakeup call for each of us to take responsibility of our decisions, and to make our own choices without following the crowd blindly. I believe we need to take responsibility of our dealings and to realize that our actions which are the causes that create the effects. This is what we call karma, not necessarily the Universe laying down trials and tribulations for our edification. The definition of Karma is taken from the American Heritage dictionary is as follows “The total effect of a person’s actions and conduct during the successive phases of a person’s existence, regarded as determining the person’s destiny.” My conclusion to 2012 is we must make up our own minds and begin to use the energies of Saturn, Jupiter and Mars to help us to create the foundation that will help us through whatever trials and tribulations this time period will bring about into each of our lives. With Saturn giving us structure and foundation, Jupiter is giving us belief and faith, and Mars is giving us the purpose, energy and determination to carry through to the finish line. We need to remind ourselves and to remember that the Mayans has shown and given us the impetus for the beginning of a new epoch for those with hope, a doomsday warning to some, a wake up call for others, and Karma exposed, as one of the laws of the universe stated as the cause and the effect. As we move away from the three eclipses in a row which have been trying to give us a clue to life’s mysteries and to help us to understand, to redirect, to reaffirm our itinerary and to be open to what really matters. 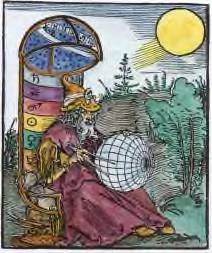 The next phase begins as the Full Moon at 22 Capricorn 27 starting at 11:40 pm PDT on July 14th – 15th which culminates in nudging us to answer the call “to be or not to be, that is the question?” After several months of some of the planets forming a stellium, the Universe that has pushed, pulled, reshape and has tried to redirect our goals and wishes, is giving us an ultimatum with Saturn in Libra trine Mars in Gemini, square Venus in Cancer, that changes are needed. For those who have not made an effort for change, the Universe is now forcing our hand to take action that we need to do something before it becomes too late to make a difference. It is becoming who we are and what we really want to do in life that is the urgent agenda being amplified at the moment. When all the doubts and fears are laid aside and what and whom we need to be, comes to the forefront, then and only then do we have the ability and confidence to work through any trials and tribulations our previous actions and thoughts have created for us. “The Sabian symbol for the Moon in 23 degrees of Capricorn and for the Sun in 23 degrees of Cancer is taken from “The Sabian Symbols in Astrology by Marc Edmund Jones”, and what follows are my comments. Capricorn 23 Two awards for bravery in war This is a symbol of man’s resourcefulness in developing new areas of experience on the practical side, and of his genius for dramatizing the fruits of an everyday aliveness and thereby stimulating a broadened self-expenditure. The continual effort of an idealistic leadership to hold social and political gains demands an exaltation of personal vision and character, and in understanding of his fellows. The goal of living becomes a preservation of values. The keyword is recognition. When positive, the degree is the social stewardship which demands a continual self-dedication, and when negative, strutting self –exploitation. Cancer 23 Meeting of a literary society This is a symbol of man’s resourcefulness in developing new areas of experience on the imaginative side, and of his genius for widening his interests and stimulating everybody to broader ideals and more rewarding goals in everyday living. The continual re-examination of a general intellectual and aesthetic inheritance becomes a heightening of personal identity, and the individual achieves a very genuine estimation of his fellows. The keyword is criticism. When positive, the degree is accomplishment through an exacting appreciation of common effort and a rigorous revaluation of private acts and attitudes, and when negative, a substitution of idle discussion for actual participation in reality. Another Mercury Retrograde cycle begins August 2nd 2011 at 01 Virgo 12 until August 26th 2011 at 16 Leo 42, which needs to be handled with caution, carefulness and retrospection to avoid glitches, personal misunderstandings, delayed, flawed, disrupted communications with ourselves and others. Although I know there always will be mishaps that are unavoidable during this period, I do believe much of the frustrations and stress we experience is sometimes caused by our own carelessness in paying attention to the particulars. This retrograde is in the beginning of Virgo is saying to each of us that if we always articulate and pay attention to the minute details, we will be playing it safe and be avoiding much of the frustrations and upsets this period can bring with it. Mercury is exalted and happy in Virgo as the planet retraces its steps into Leo, where it begins to relive the feelings of the group with its peer pressures and pleasures. 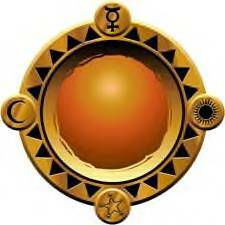 In trying to understand what Mercury is going through as it retrogrades, I tried to imagine myself as a respected and honored individual in an environment that is catering to all my needs, returning to the position of being just another regular and nondescript member of the group. Although I am happy to be back among my peers, the recollection of what it was like before returning haunts my memories and judgments. I began to wonder if this period of Mercury Retrograde will revolve around frustrations and delays around events, whether of an ordinary, serious or pleasurable nature, the group as a whole decides on. It is not important what events or plans that we would participate in, but making sure when following the crowd that their plans has been thought out, so there would be no loose ends to cause anxiety and tension. Many of the problems that appear on the horizon are caused by not paying attention to the fine points. “The Sabian symbol for the Moon in 2 degrees of Virgo and for the Sun in 19 degrees of Leo is taken from “The Sabian Symbols in Astrology by Marc Edmund Jones”, and what follows are my comments. Leo 19 A houseboat party This is a symbol of creative relaxation as a prelude to effective effort, and of man’s normal capacity for achievement through an everyday rehearsal to co-operative relationships with his fellows. There is here a sealing off of some pleasant pocket of life for an intensified culture of the skills and inspiration which can implement a contribution to the world at large. Any dull routine of existence may be exalted as a common adventure in self-expenditure. The keyword is congeniality. When positive, the degree is a gracious eagerness of participation in the more worthwhile or enduring aspects of human affairs, and when negative, thoughtless self-indulgence and contempt for the general welfare. As this cycle begins, it is not only important, but a must to understand what drives us, and how it drives us? Understanding this in ourselves will help us to avoid some of the trials, tribulations and frustrations this period of time, has in store for us. What is the foundation of our beliefs and how far we are willing to stretch it and to go beyond our principles to obtain our desires and happiness? As an individual and especially as part of a group, we must confront this question, when dealing with any action or pleasurable event? Not only must we consider our beliefs and standards, but we must begin to understand the effects of our actions and whether the plans and the details where thoroughly thought through and worked out? This period of time is not telling us not to be involved, but to make sure we know what we are getting involved in. That we are not just following our emotions and the group’s energy, but also using our thinking faculties to ensure satisfaction, happiness and completion of any situation at this time. Mercury Retrograde is reinforcing and re-reminding us to articulate to keep us safe from disappointments and stresses during this interlude.